Last month, it was discovered that the Blu-ray release of Dragon Ball Z: Bio-Broly was censored. Now in Japan, Toei is apologizing and offering customers a refund. Below are the edits made to Dragon Ball the Movies Blu-ray #6 disc release. 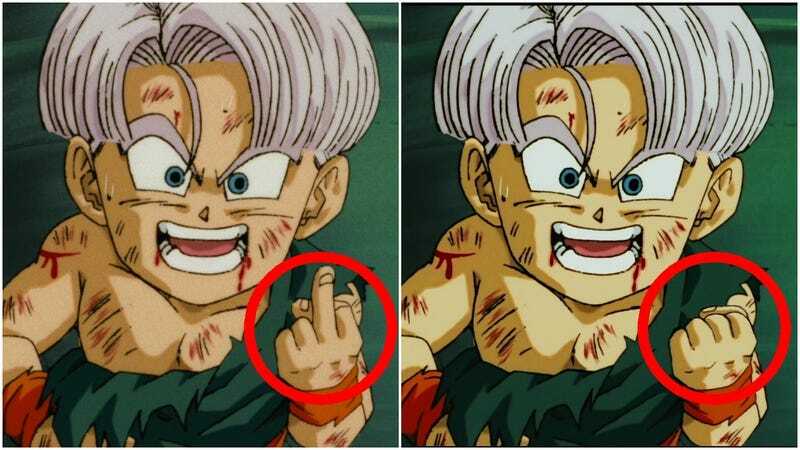 You can see the original version, which included characters flipping the bird and how the scenes were altered for the Blu-ray. Previously, Twitter user Nappasan pointed out the differences in detail. Toei explained that the scenes were changed as not to negatively influence children. Thing is, the Blu-ray’s jacket said this was not edited. Specifically, it stated that even though there were scenes and dialogue that would now be considered inappropriate, this was a compilation of the original work, which was of historical importance. Toei apologized for the confusion and is offering refunds for customers in Japan.